Well, I asked Steven Thacker one of our benchmarking management experts, exactly that question! I hope his answers help you. Benchmarking is essentially comparing; comparing one against another. When we compare different levels of sophistication and performance in supply chains, we can identify particular levels that we think are important to achieve, or that represent typical performance levels for supply chains as a whole. Those levels are “benchmarks”. Of course, benchmarks and benchmarking can cover all kinds of different things, at work or elsewhere. Suppose you wanted to be the fastest runner in the world, for example. The first thing you’d want to know is “what is the benchmark?” meaning “what speed do I have to beat to be the fastest?” You can benchmark for individuals and also for teams. You can also benchmark supply chains. Sometimes benchmarks, like how fast you run, how high you jump, and so on are easy to identify. They are simple activities to measure and the figures are clear and meaningful. Elsewhere it’s more complex, as is often the case in business. It’s still just as important, though, if you want your business to improve, to know how you compare, and how good you have to be to be the best. How Can a Business Start Benchmarking? You can start with the things organisations frequently want to benchmark. The first of these is “How good is my service?” In fact, it’s also a good idea to go further, because these days, service provision should typically be a competitive advantage for an organisation. A second one is then cost; For instance, “Is that level of service, whether current or planned, cost-effective?” This is a question that frustrates businesses if they only have data that is anecdotal and subjective, and lack the quantitative hard data that really tells them what’s going on. This is where the SCOR model can be a big help, because it defines formal, structured ways of capturing data, which can then be stored in a database to provide a better guarantee of accuracy. SCOR is a method that’s helped businesses in many different areas, such as quality circles. In the general supply chain area, however, only a few really comprehensive databases exist for organisations to access. In fact, SCOR is actually an entire reference model for supply chain performance management and improvement, in which benchmarking plays just one part. You don’t need to apply the entire model however, to successfully benchmark your supply chain using SCOR. The SCOR model is based on three “pillars”. These are the process modeling, performance measurement, and best practices pillars. The performance measurement pillar, which is the one used for benchmarking, is essentially a hierarchy of key performance indicators (KPIs), comprising more than 150 metrics organised into two levels. SCOR Level 1 metrics are those most commonly used for supply chain benchmarking, and are divided among five key supply chain attributes, two of which can be said to be internally focused (cost and assets), while the other three focus on the customer (agility, responsiveness, and reliability). It’s also possible to use level 2 and level 3 metrics for benchmarking the supply chain, provided sufficiently detailed data is available for the peer companies you plan to benchmark against. Benchmarking Success maintains a database of multi-level KPIs from more than 800 different supply chains, spanning a range of industries. If you’d like to find out more about benchmarking your supply chain with help from BMS, please feel free to stop by at the website and check out the services on offer. 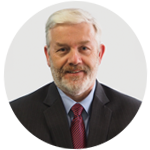 Steven Thacker is a contributing Author to the Supply Chain Secrets Book Series.